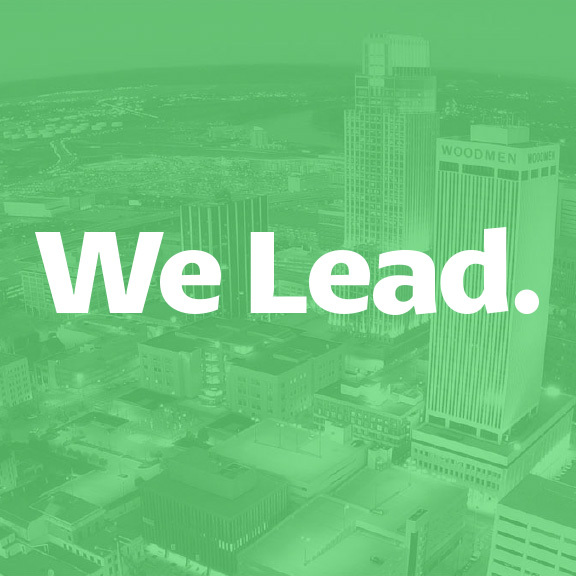 A volunteer design project with concerned citizens and elected officials to create a strong vision for a more sustainable city in Lincoln, Nebraska. There has never been a budget. No real hierarchy. Certainly no hard, fast timelines. The only thing we could count on was a monthly meeting led by our group’s founder. But what started as a four-page outline of goals/actions has became a visible advocate for a sustainable future in our city. Now, in terms of visual communications, taking on the design of such a group has been an exercise in volunteering where a designer is just another citizen. And the messy workings of a community organization has led to both pull-your-hair-out and stand-up-and-cheer moments. How the identity design has worked shows it’s possible, with extremely limited resources and a good amount of stubborn dedication, to make something happen in your community. Right now. Today. There’s a good chance any given area has people who are good at graphic design, illustration, web design, programming, writing, event planning, connection making, community organizing, public speaking and joke telling and want to get their hands dirty. Put all those together and you’ve got something that’s ready for positive impact. 1.5-inch buttons. Strength in numbers. Here’s a quick rundown on how this all came together: I sign up for an email list at which time I find out about a gathering of like-minded environmentalists, so I go. I get invited to dinner the next night to talk about a new organization that’s starting. I get briefed at the dinner. It’s a group that wants to get our local government to think sustainably and in the long-term. The usual things are needed first: logo, brand, website, etc. It’s an exciting endeavor that I decide to help in any way I can. I go to my first lunch meeting with a group of about 15 people. We all sit around a big table and discuss our goals. I present my concepts. Everybody has their say. We decide on a direction. I finalize things and we have a design. As things have unfolded, I’ve become a firm believer in a community’s ability to come together and work toward a common goal for a greater good. This group is committed to making our city green by design. And with our intentions and our efforts, we will help Lincoln get there. Several other designers started getting involved. Brochures and posters were designed. Illustrations were created. Events were planned to showcase LEED architecture. A printer who is working at becoming the greenest printer in Nebraska lent its services. A local design firm offered to build our site. A wildly successful Earth Day celebration was planned and executed. Screenprint Posters. Power Lincoln Forever. LEED in Lincoln Event postcards. Working together to lift heavy things. And, of course, we Facebook. Even the Mayor’s Sustainability Coordinator has taken note of the impact our little band of volunteers has had thus far and recognizes the important role we can play in shaping our future policies. What makes me smile when I think about where this group is today, is just how haphazard, random and messy the whole process has been. Opinions differ. Signals get crossed. Ideas misunderstood. Commitments broken. Meetings forgotten about. Balls dropped. There are false starts and missteps. People move away or stop coming to meetings. New people enter the mix. We of course talk a good game which sometimes leads to that feeling that we aren’t getting anything done. All the while, slowly trudging along. We aren’t the most efficient group around. And the design process is constantly in flux. But we have certainly built something. The design apparatus that is Lincoln Green by Design holds the thinking and activism of a volunteer community of dedicated individuals who intend to leave the world better than we found it. Green Columns of advice and insight. We are a small part of a global movement working on a local level to create a sustainable future. It’s the kind of effort that’s important enough to bring in talented people who are ready to roll up their sleeves and get to work. And who have a sunny enough disposition to keep at it when things go a little haywire or our budget of zero goes deeper into the red. It’s about community. It’s about people coming together to make change where they live. And it’s certainly something my wife and I can get behind. Enough so that we write lines about not eating local people on the weekend. All of the work shown here are collaborative efforts between a very dedicated group of community-minded creative people. Many thanks to Katie Kemerling, Ashley Rolf, Kevin Fitzgerald, Brad Kindler, Ken Johnson, Miriah Zajic and A to Z Printing, Clint! Runge and Brandon Miller from Archrival, Christine Hunt, Stuart Long, Tyler Mainquist, Dan King, David Ochsner, Cecil Steward and the Joslyn Institute for Sustainable Communities.